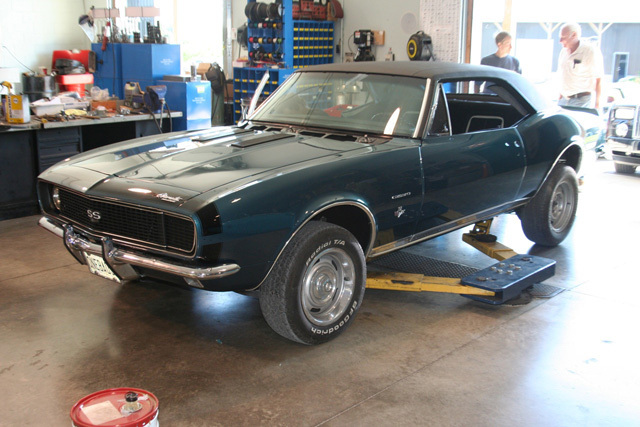 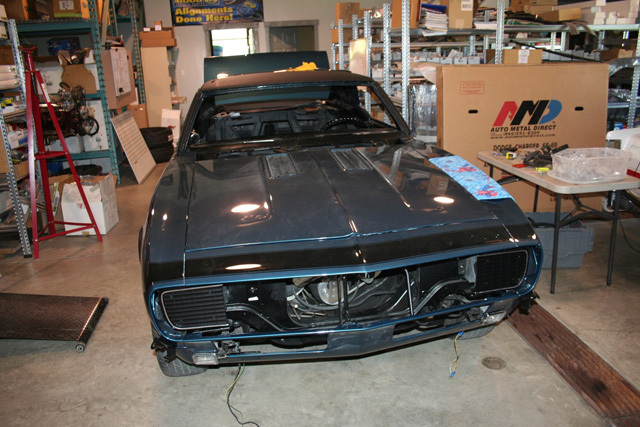 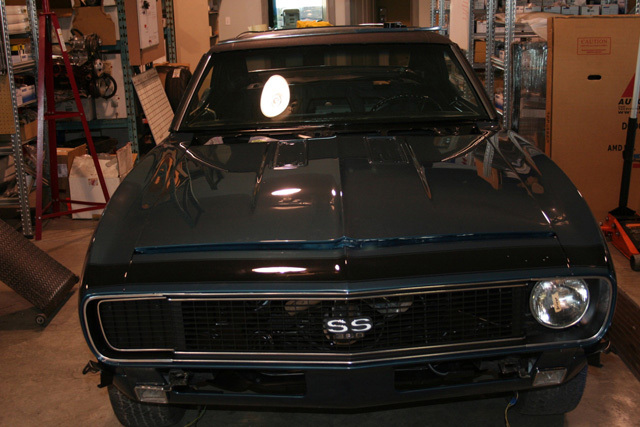 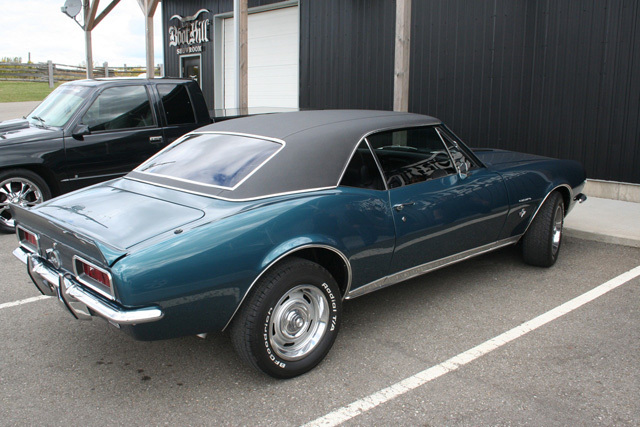 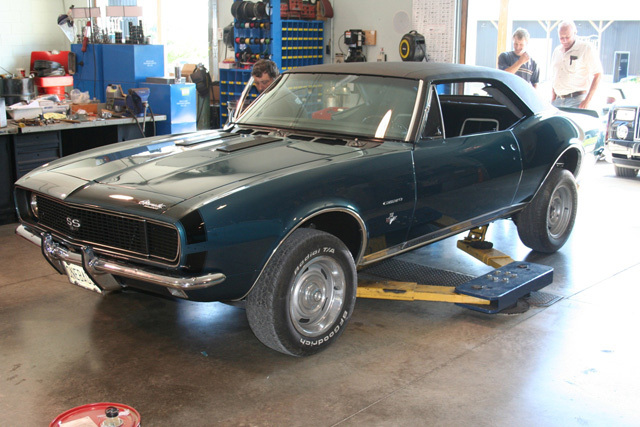 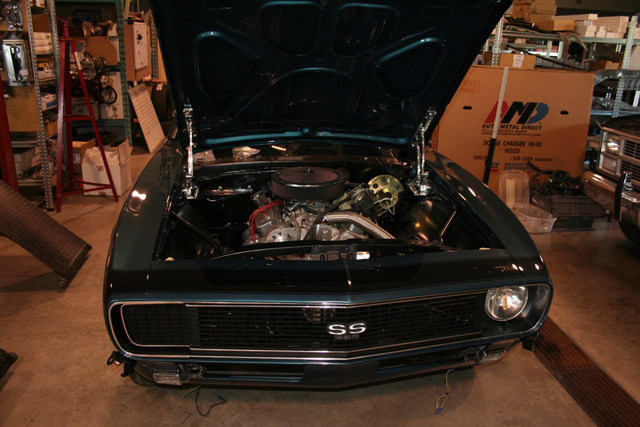 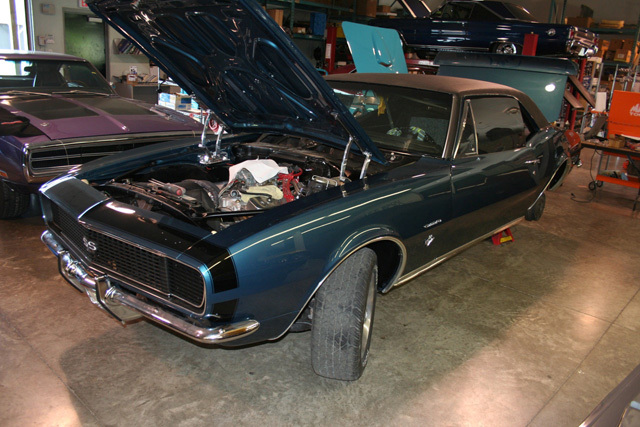 This Bad SS Camaro came in for body and paint work and went out looking better then new from the factory with its oringial colour intacked. 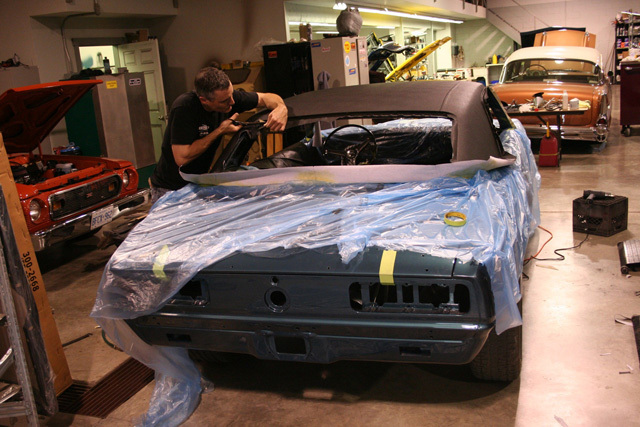 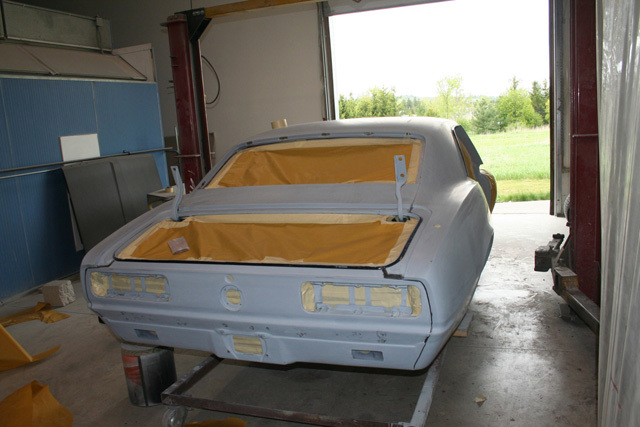 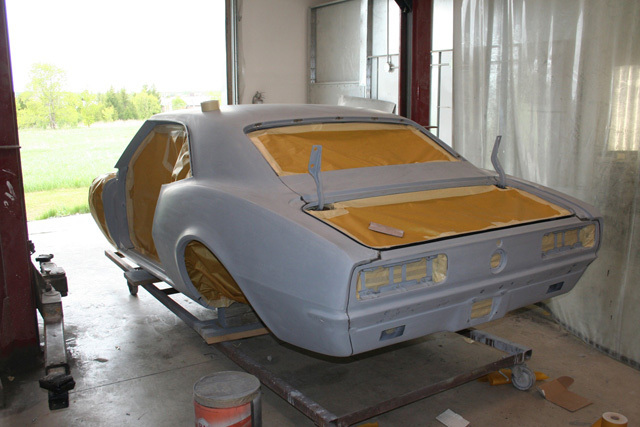 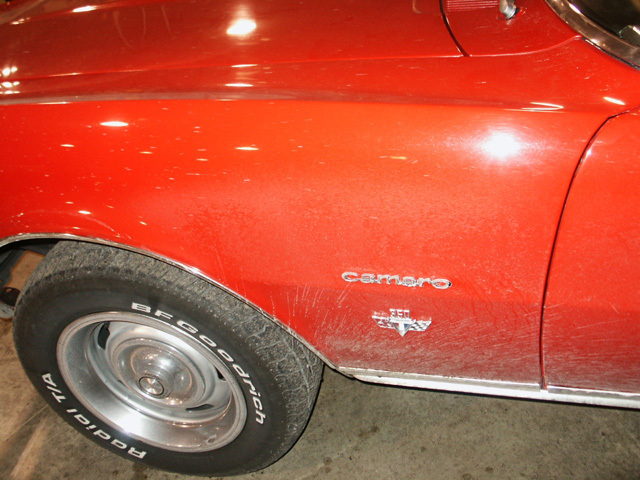 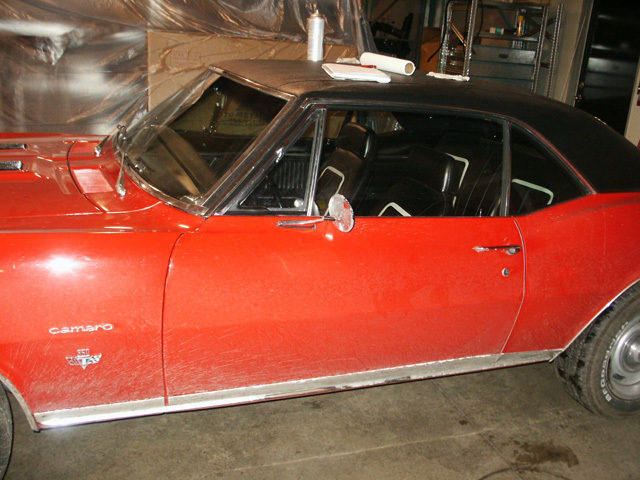 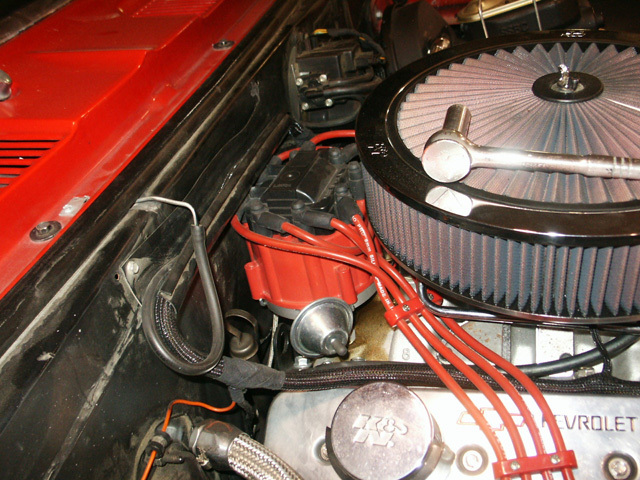 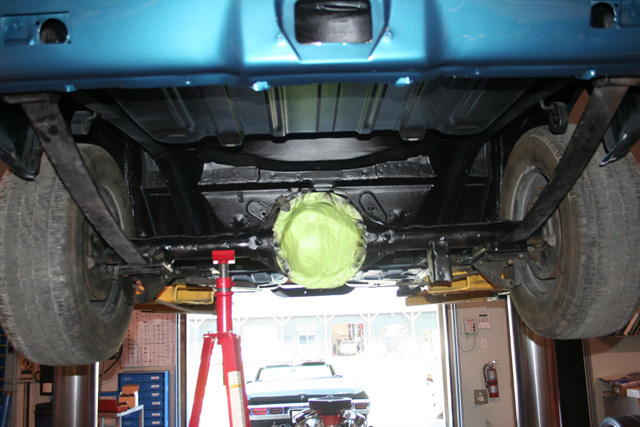 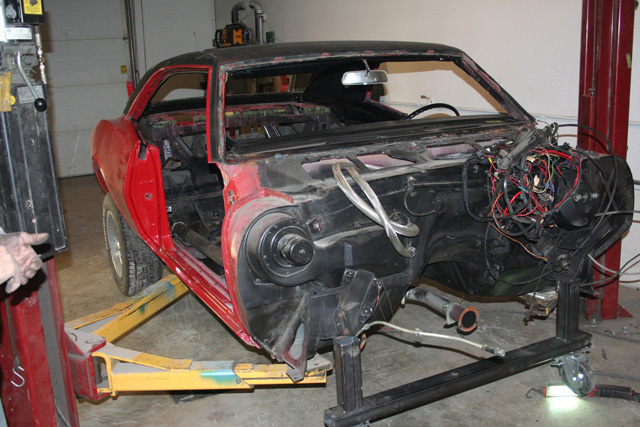 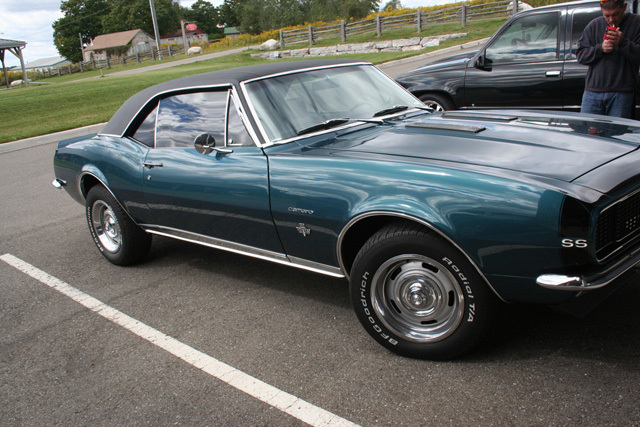 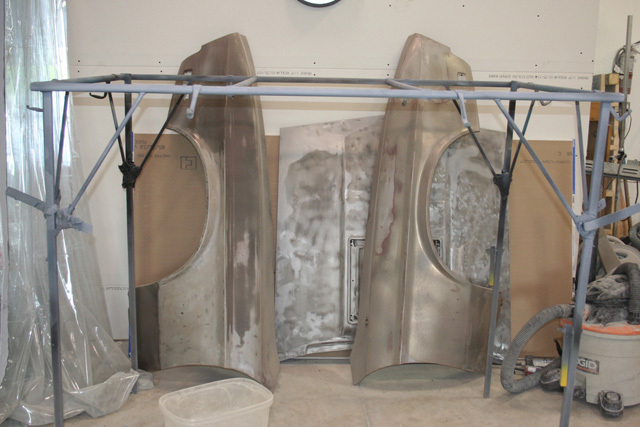 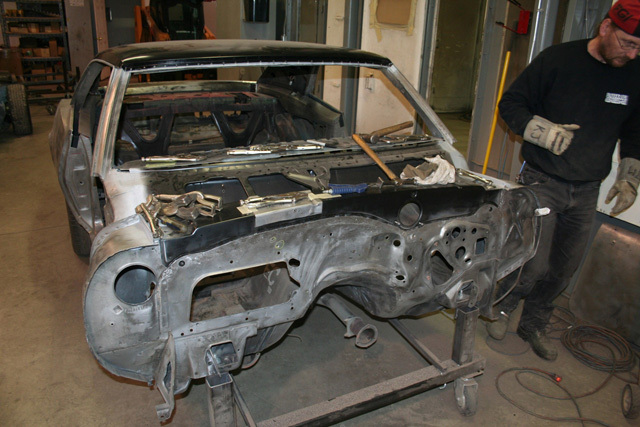 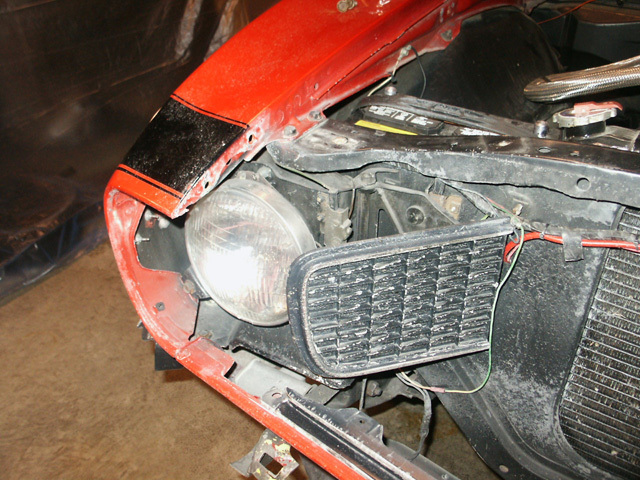 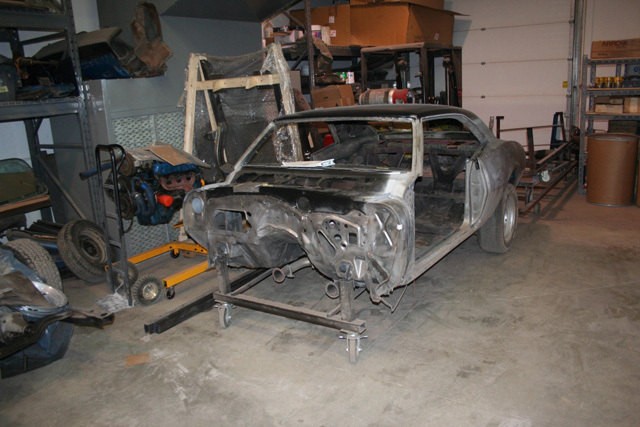 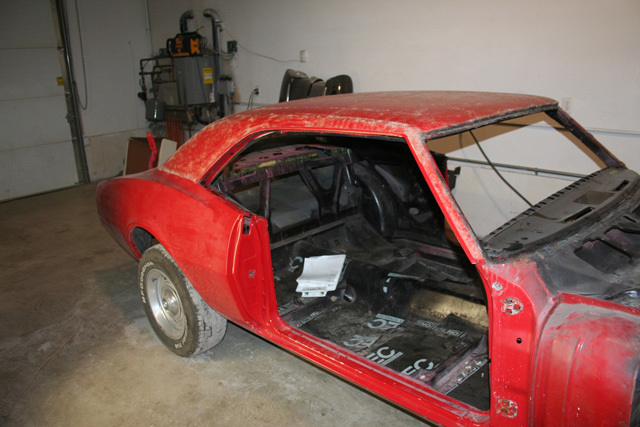 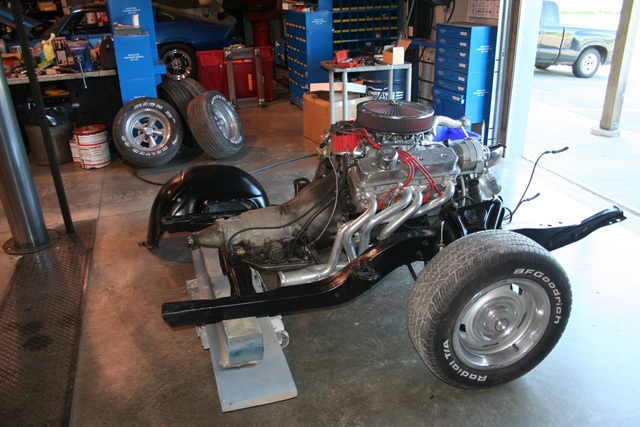 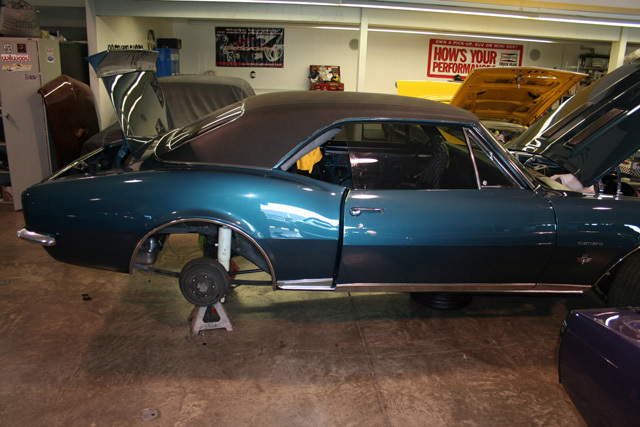 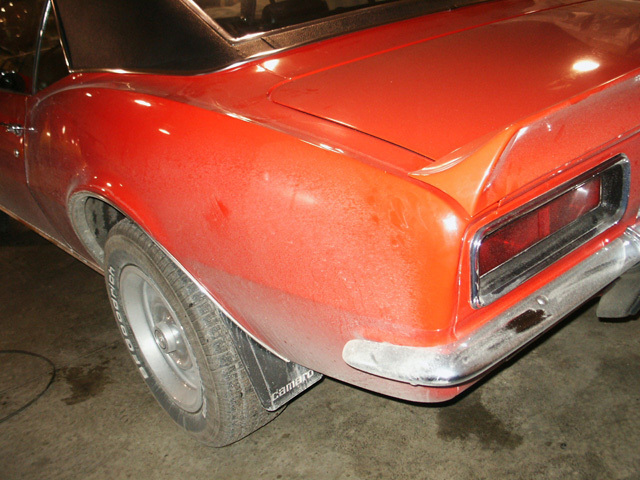 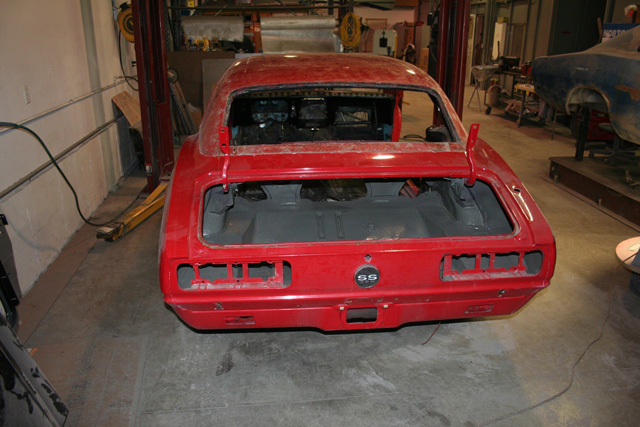 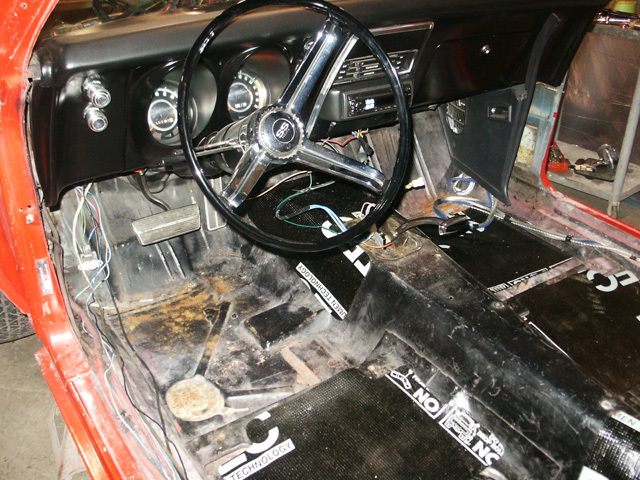 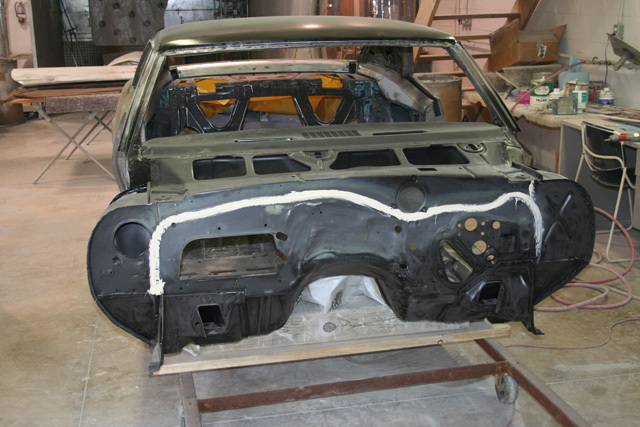 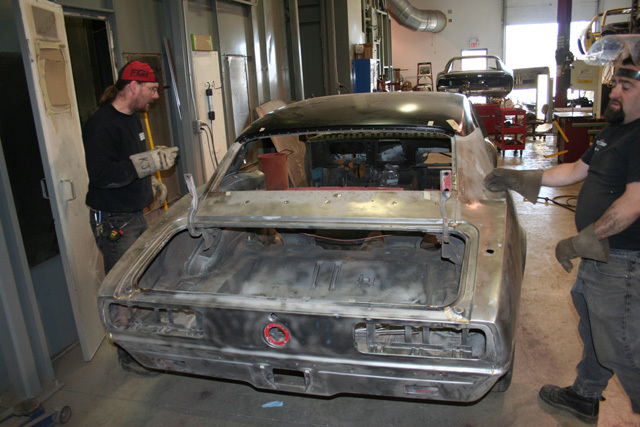 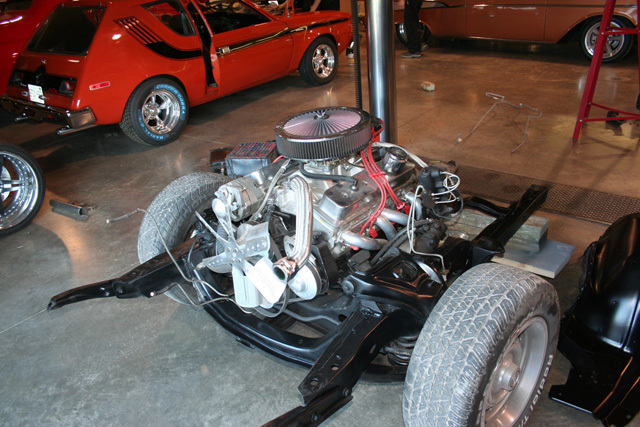 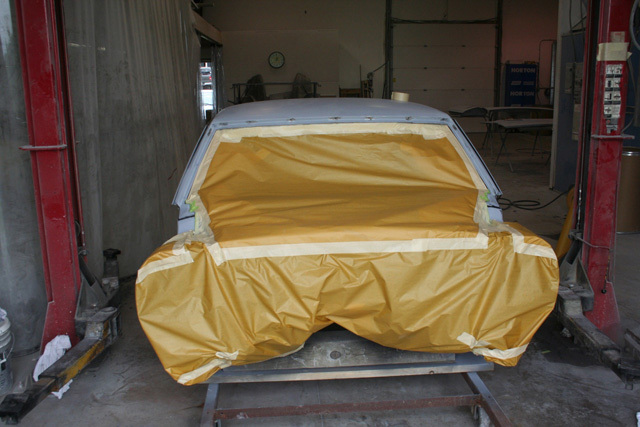 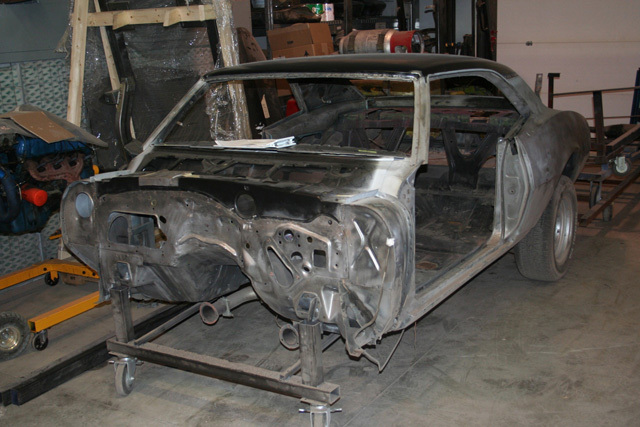 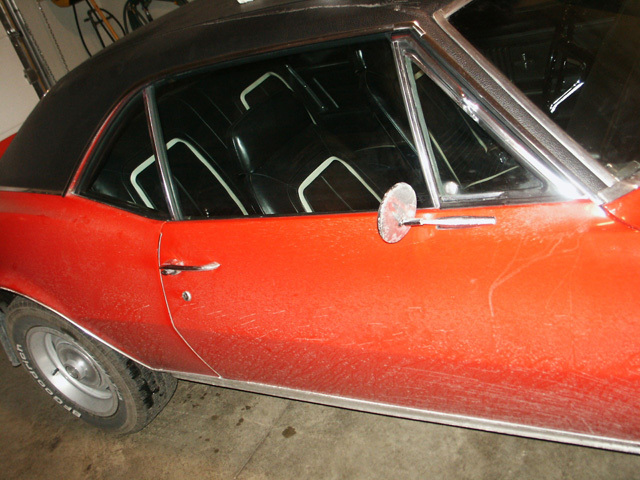 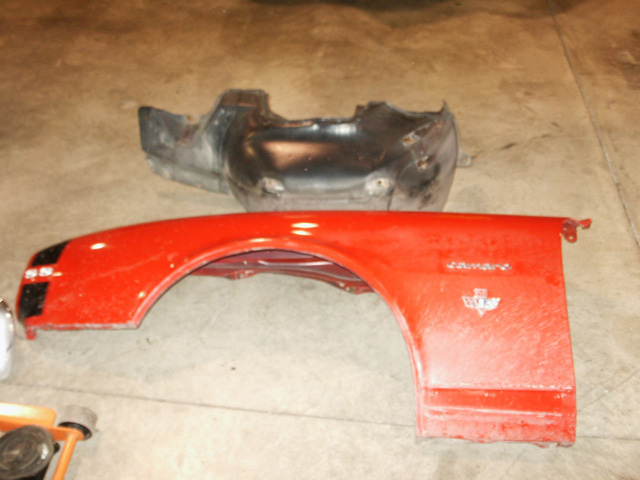 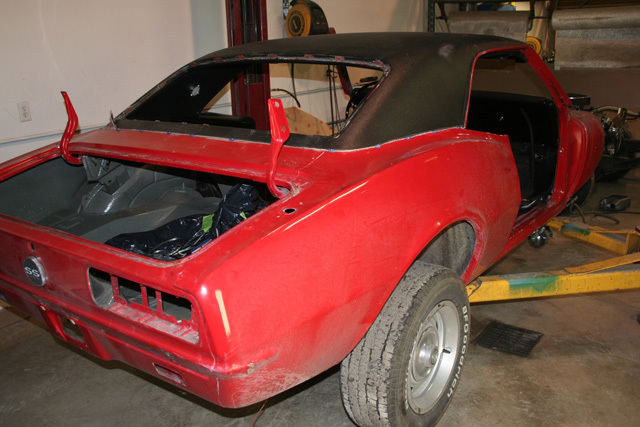 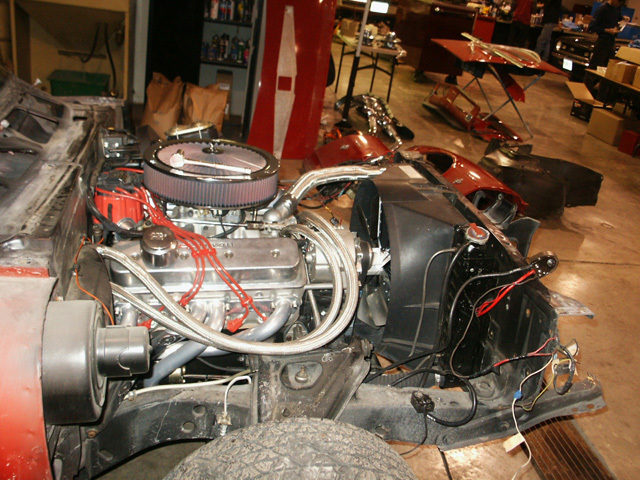 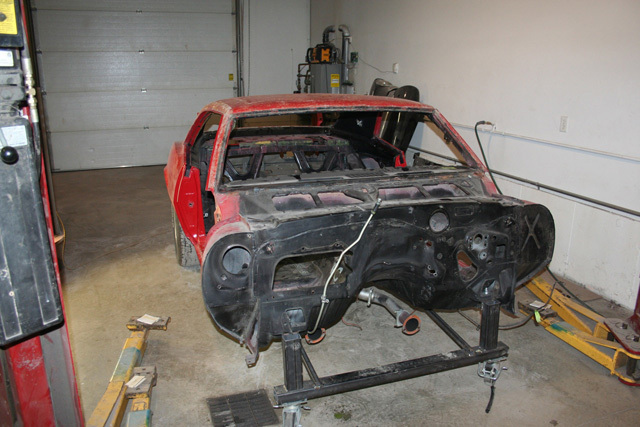 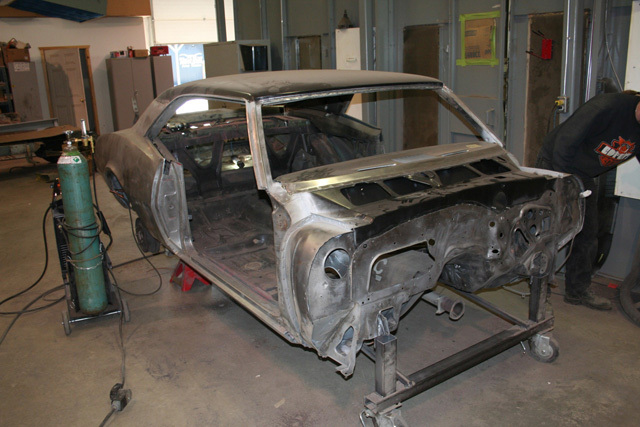 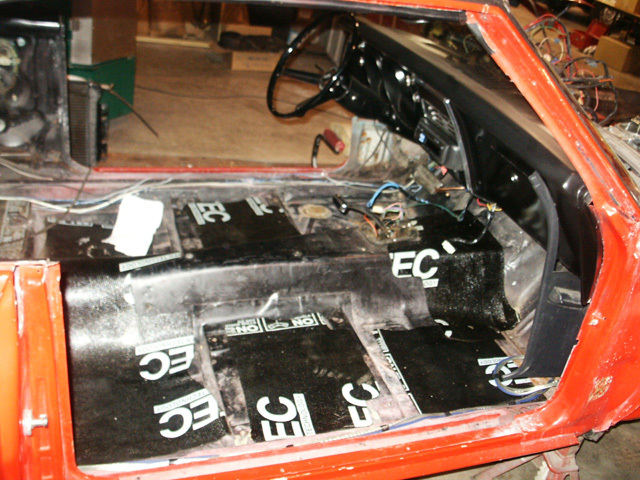 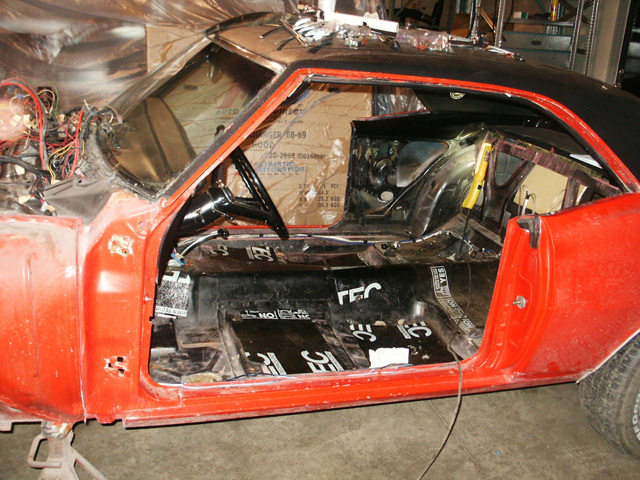 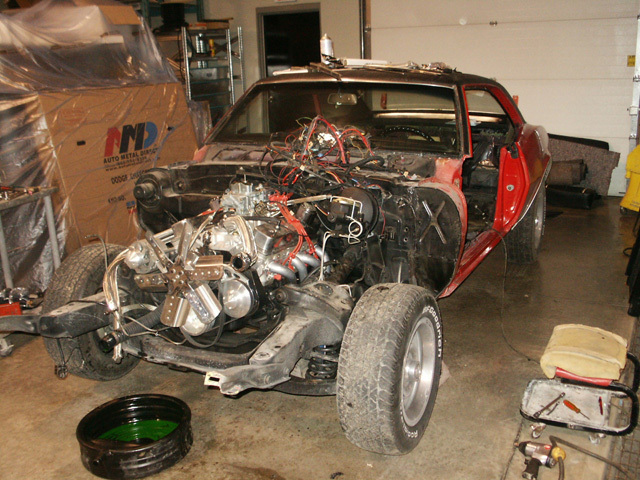 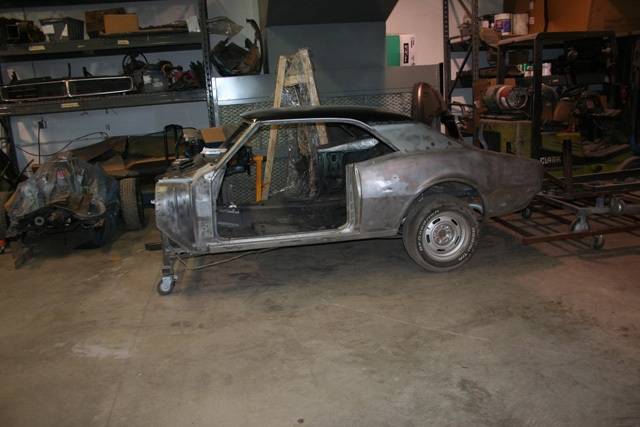 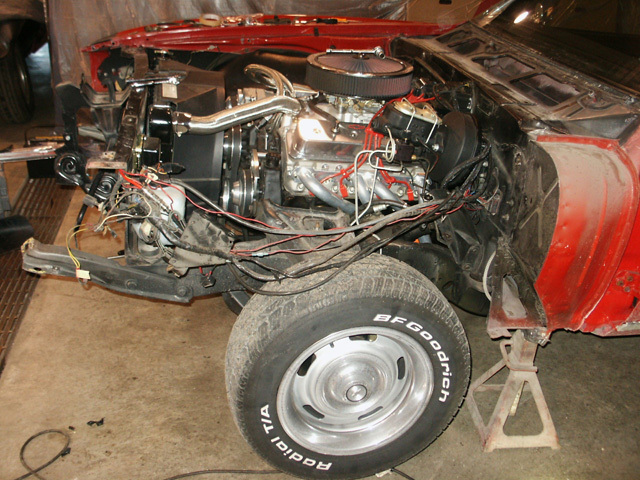 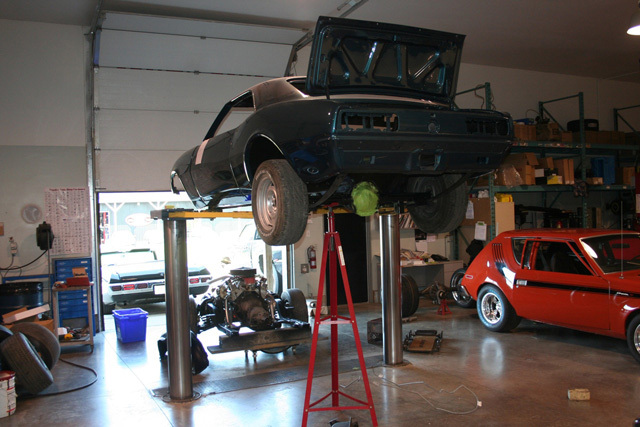 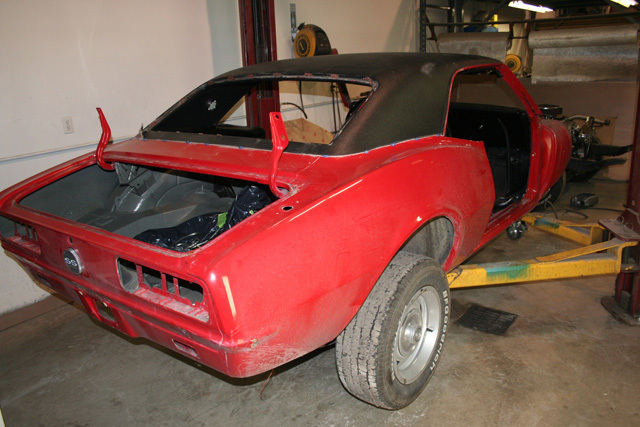 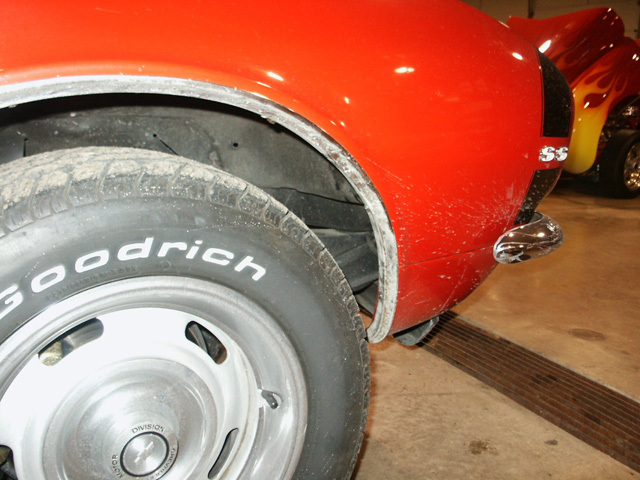 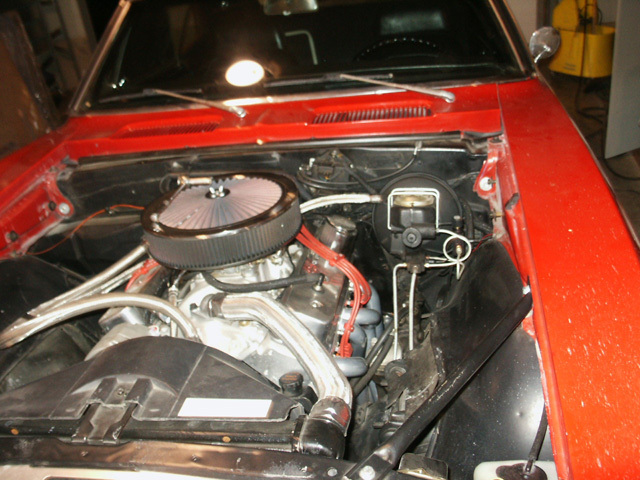 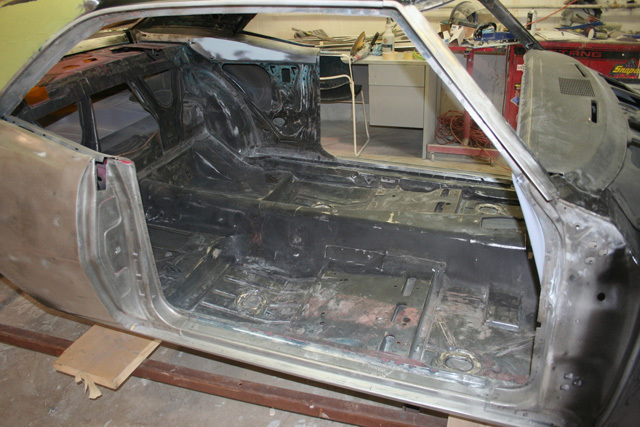 To pull it all off the car received a full body-off restoration. 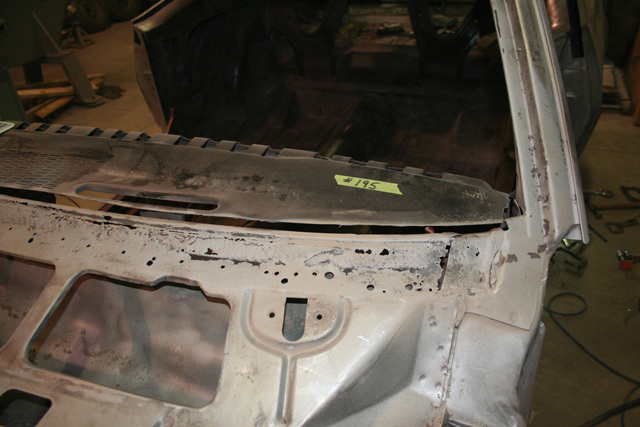 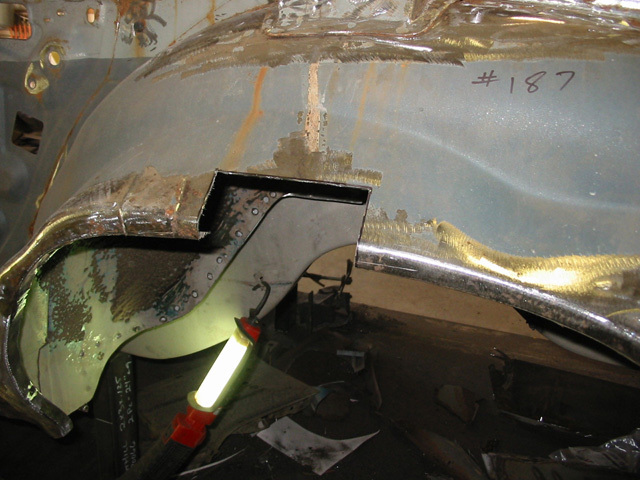 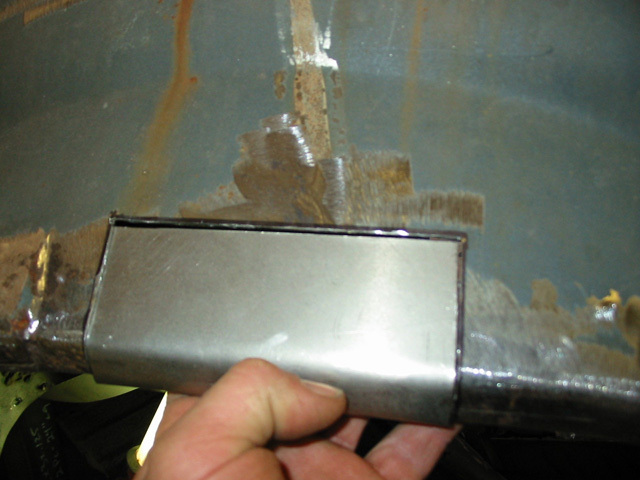 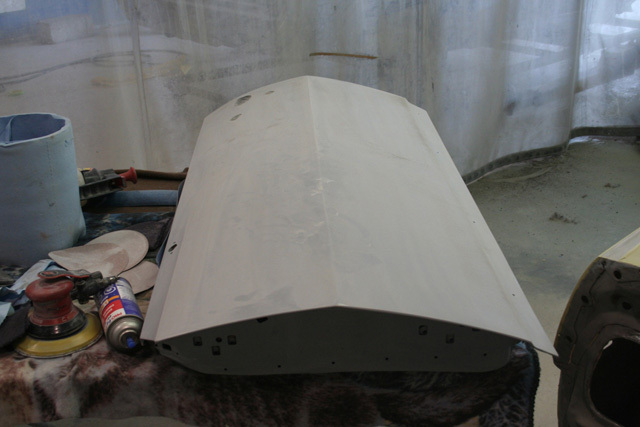 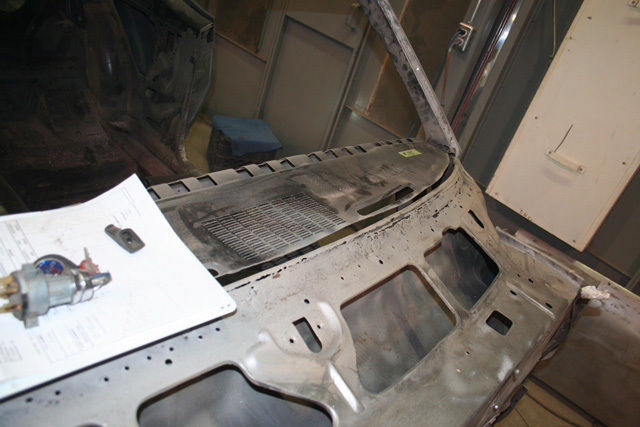 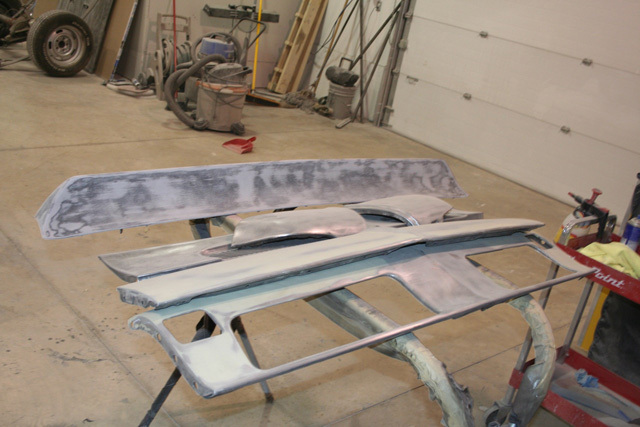 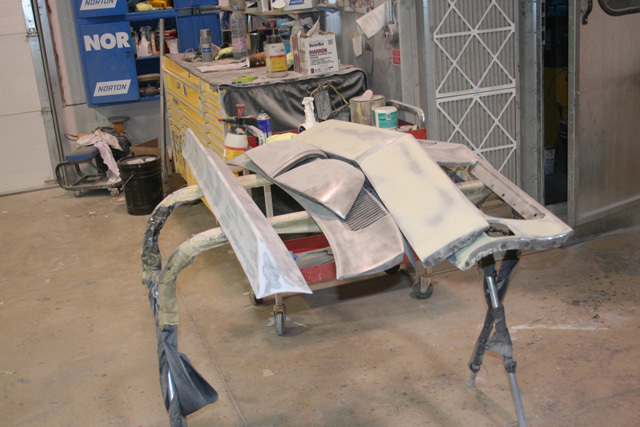 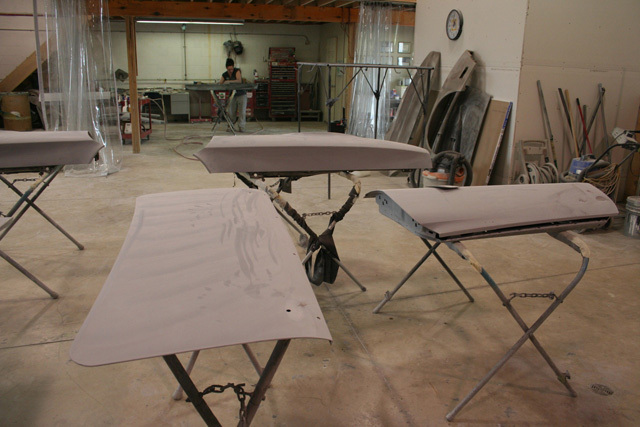 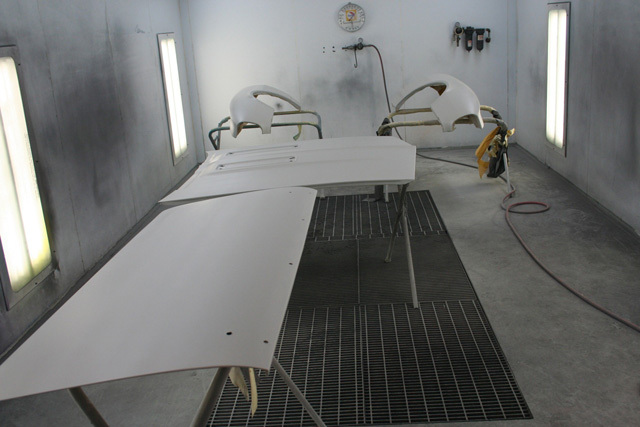 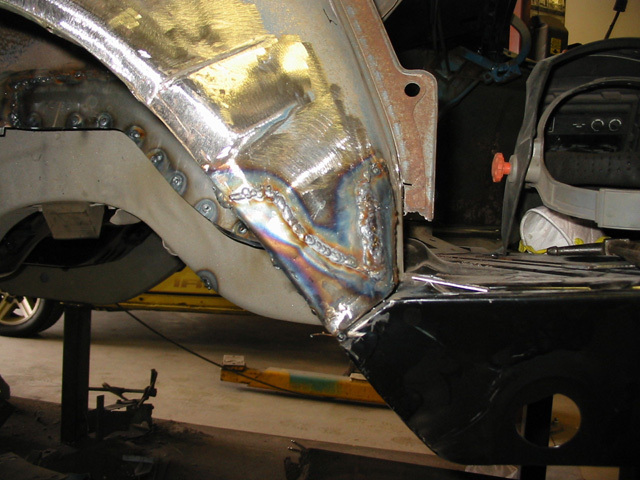 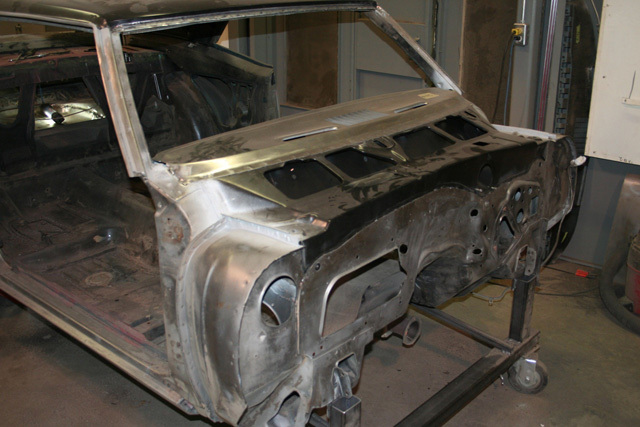 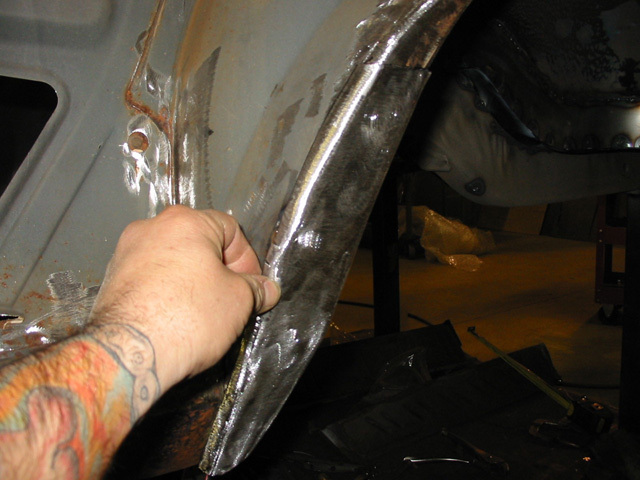 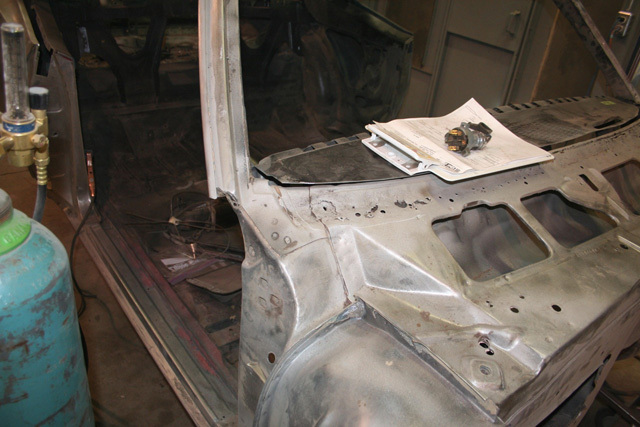 No corners were cut ensuring the quality of the metal work and paint. 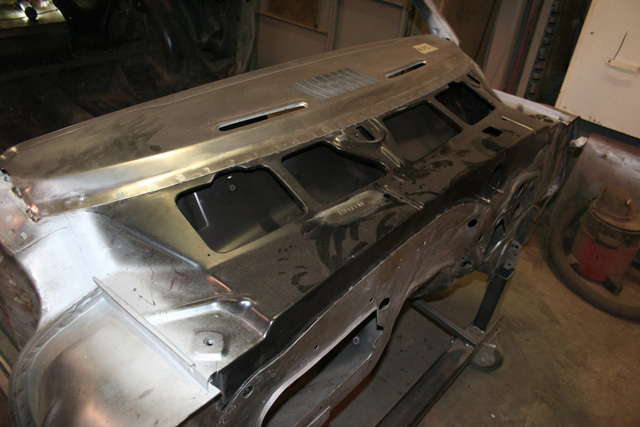 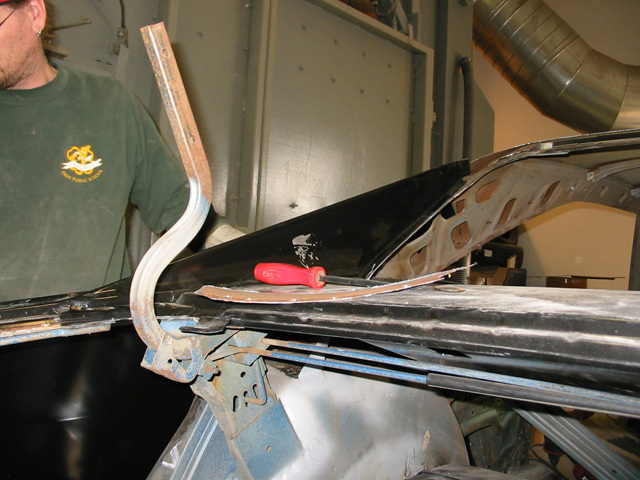 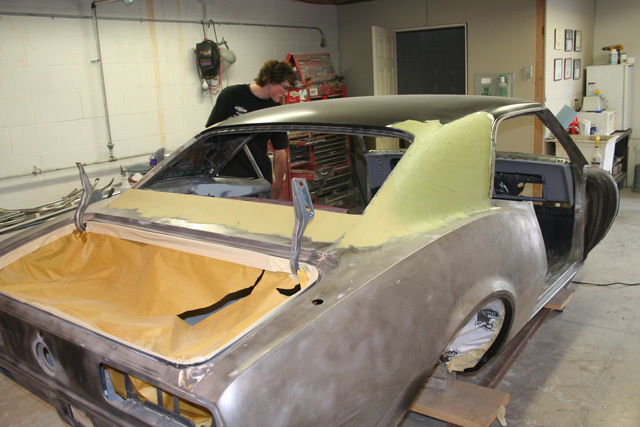 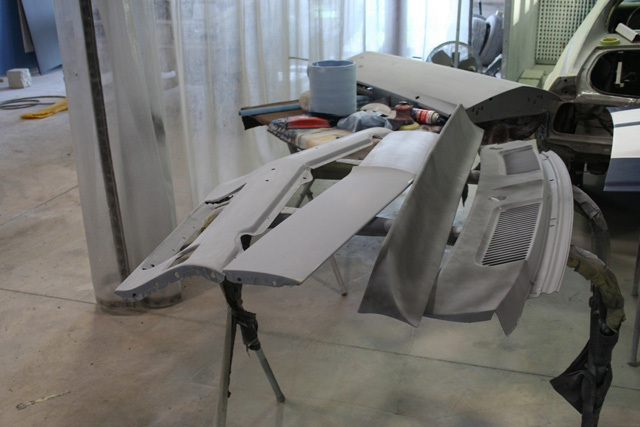 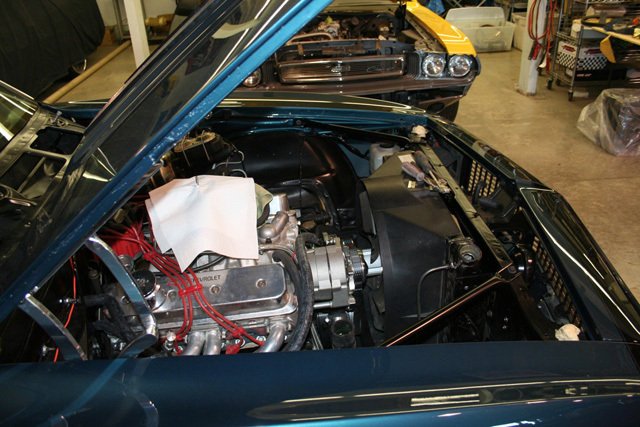 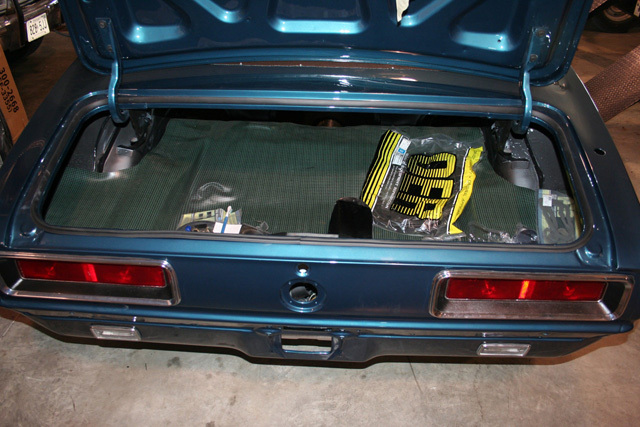 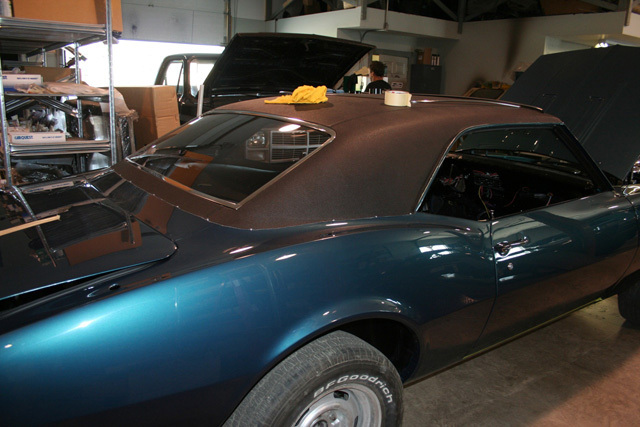 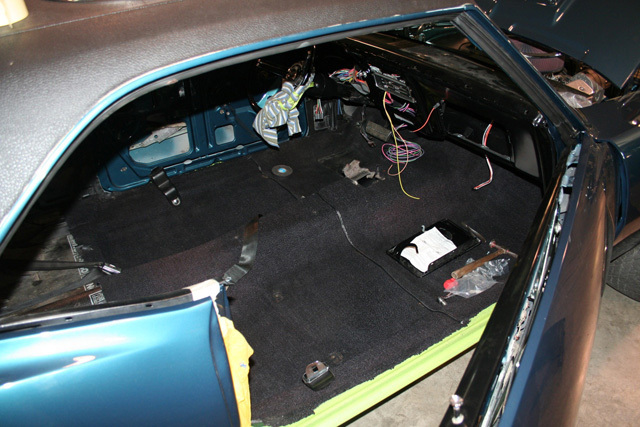 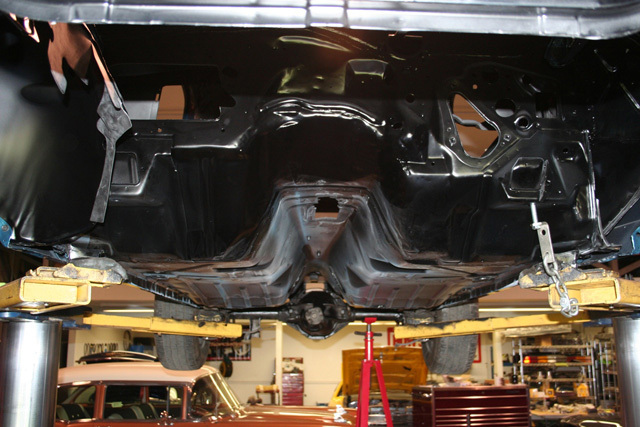 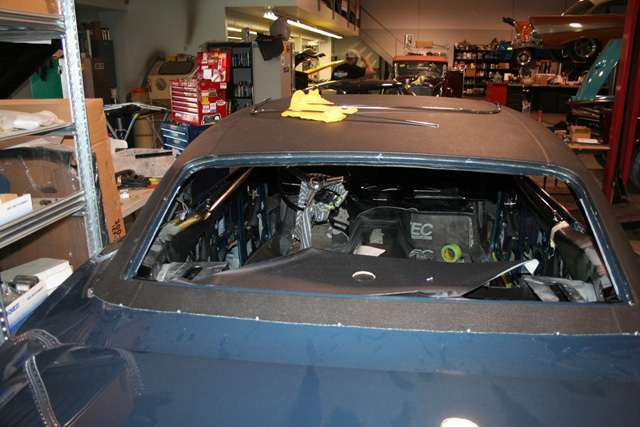 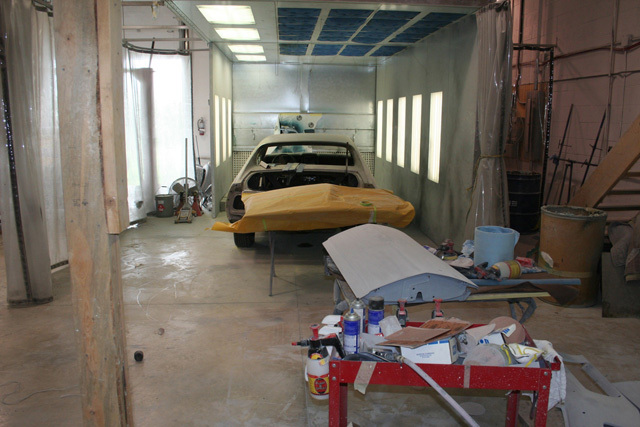 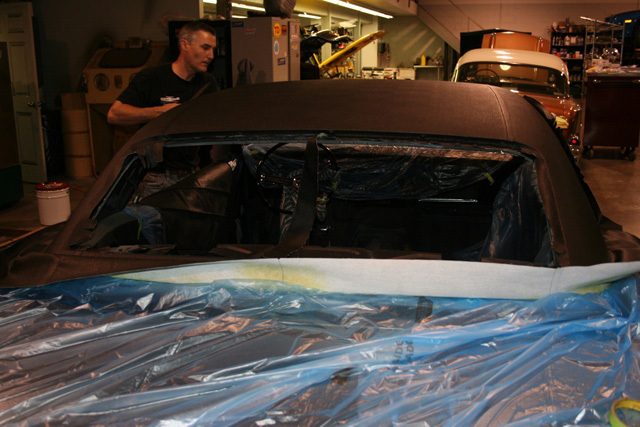 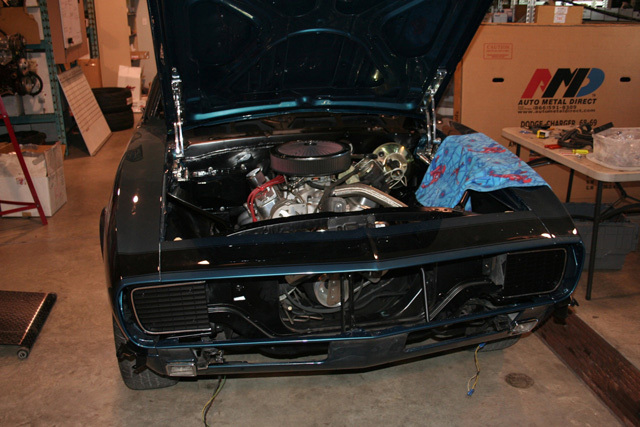 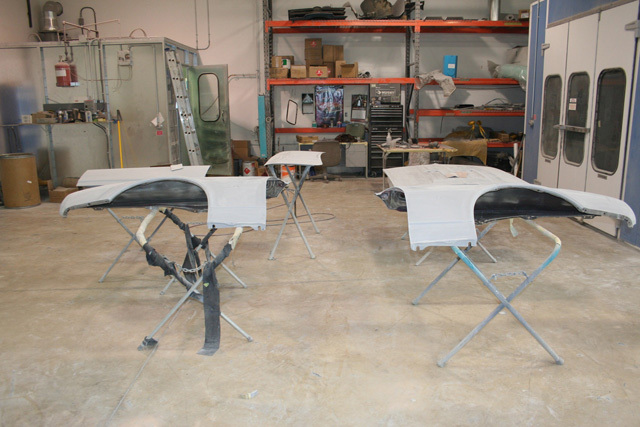 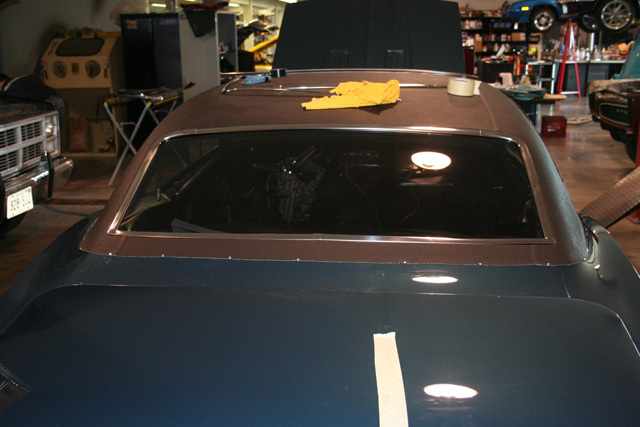 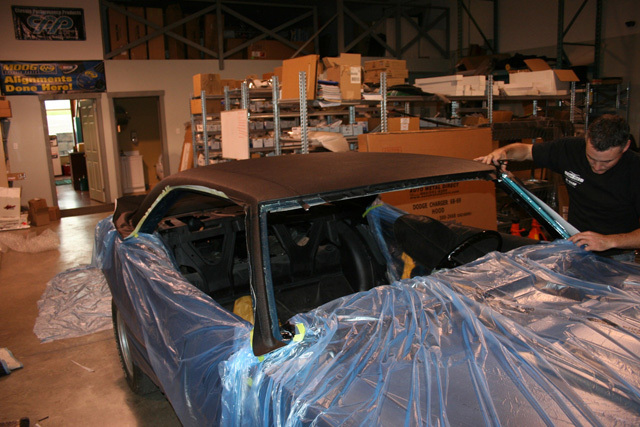 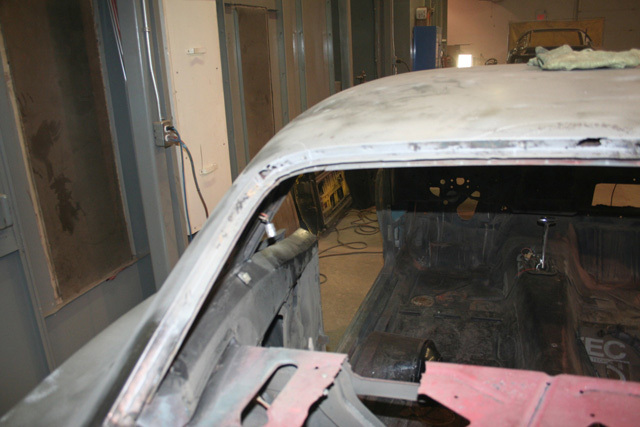 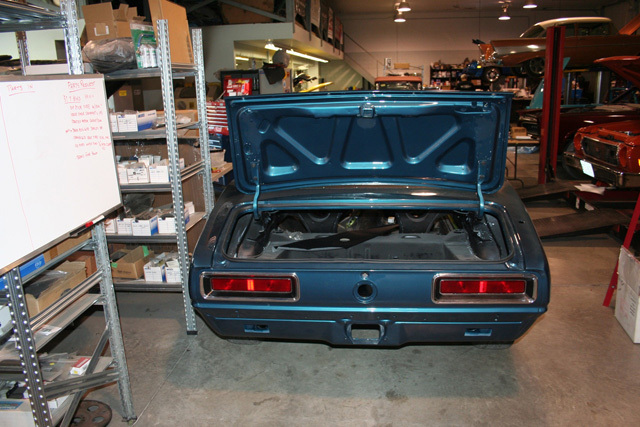 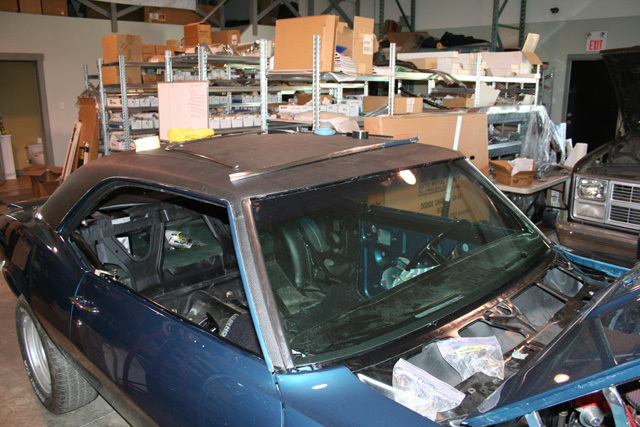 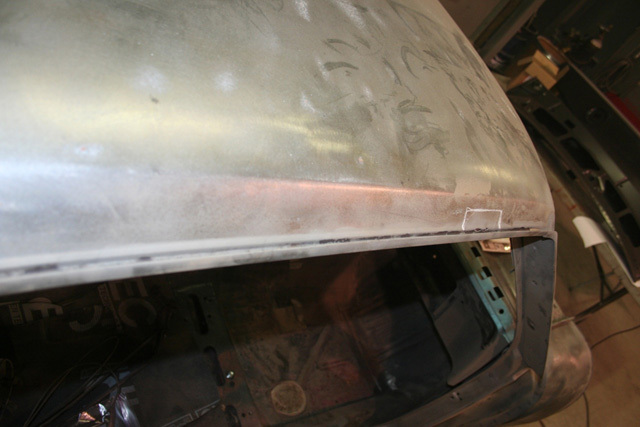 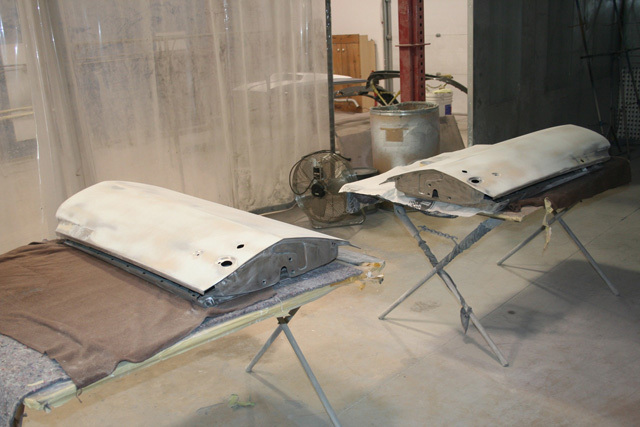 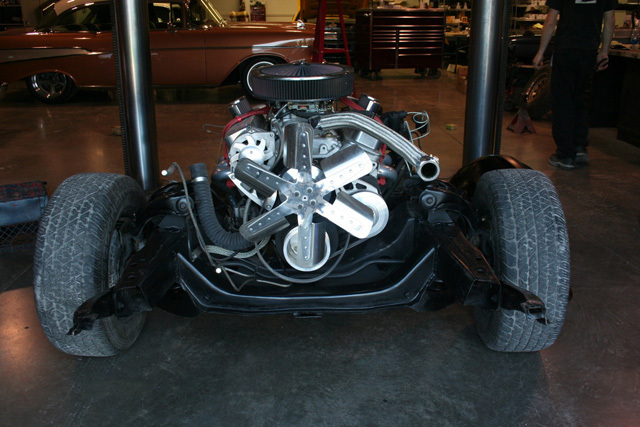 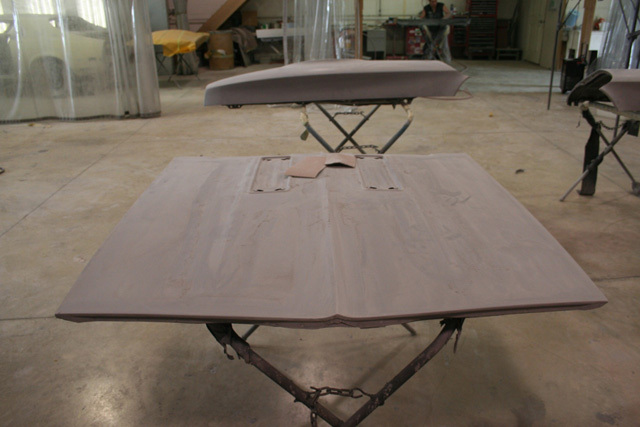 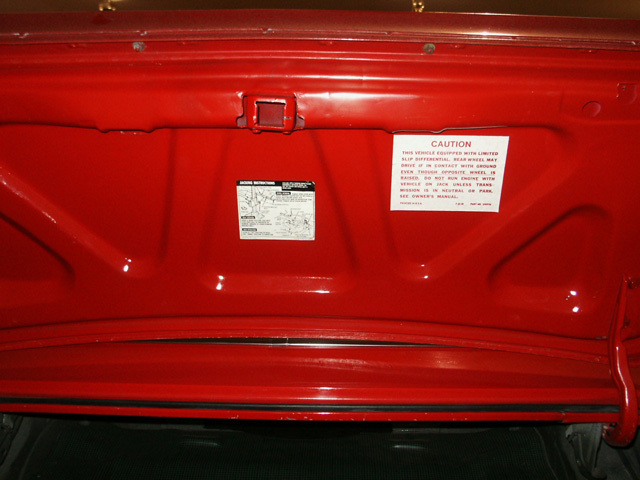 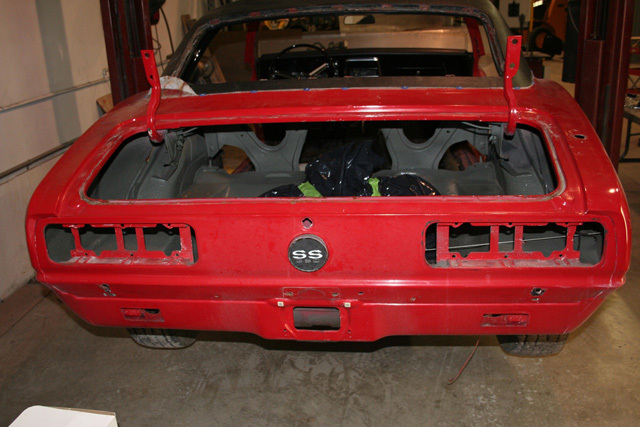 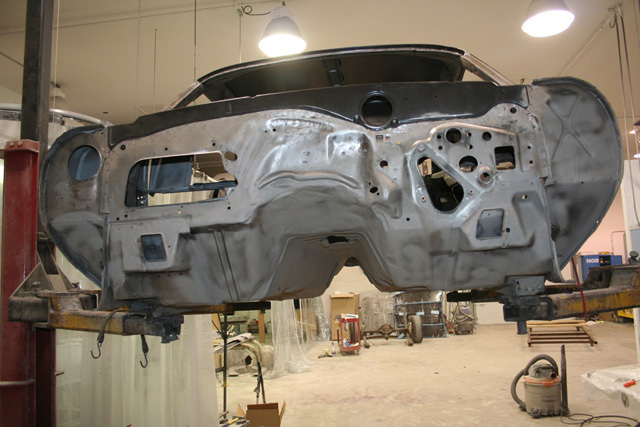 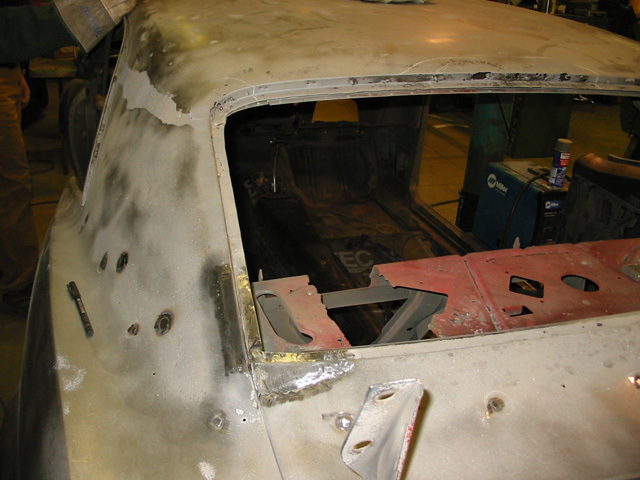 Custom Fesler hinges were installed to allow the hood and trunk to open and close like a dream. 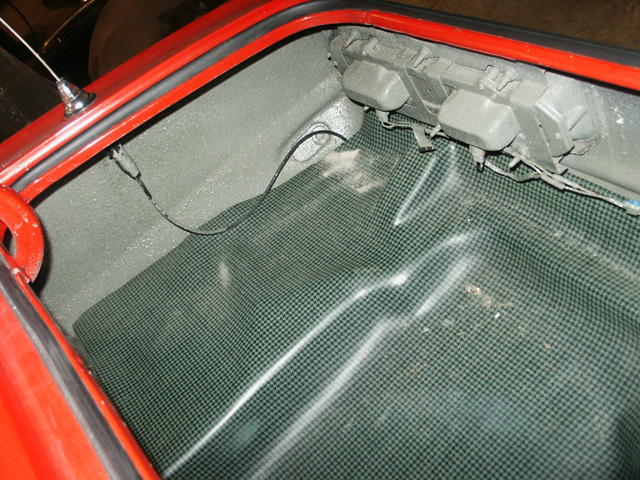 Under the hood a crate ZZ 4 was dropped in to help her cruise down those winding roads. 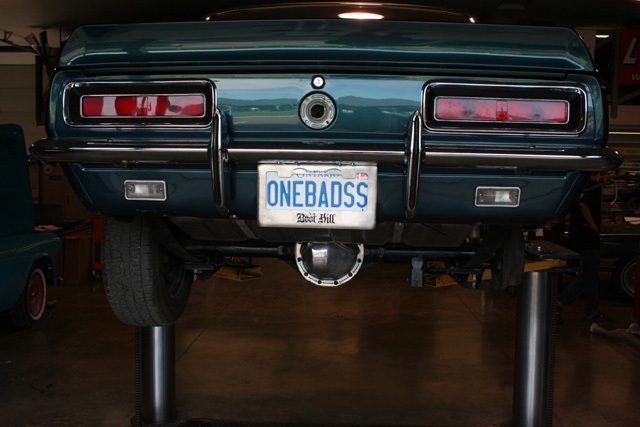 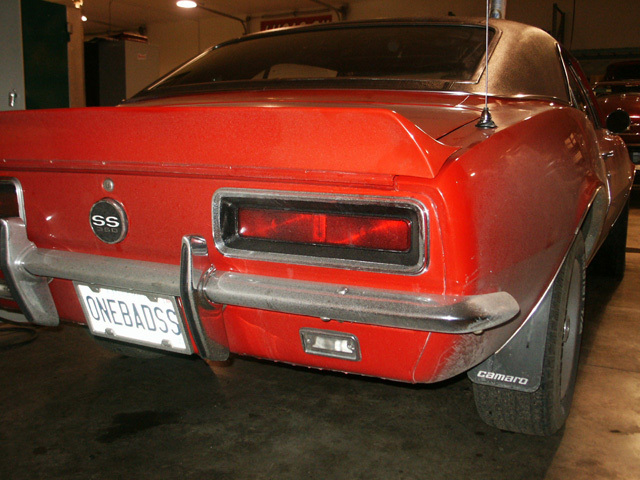 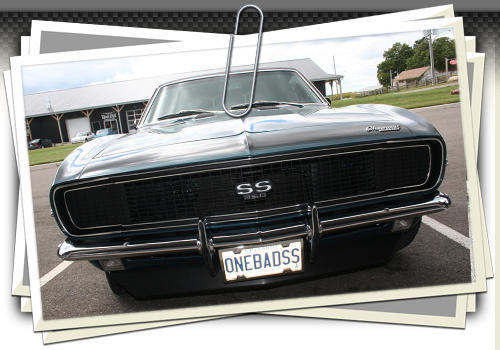 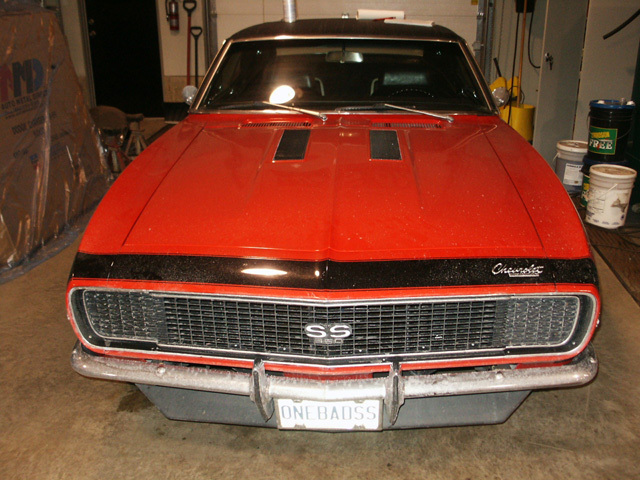 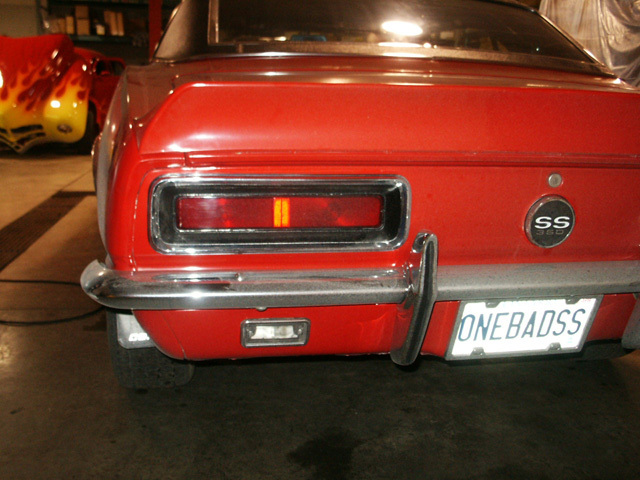 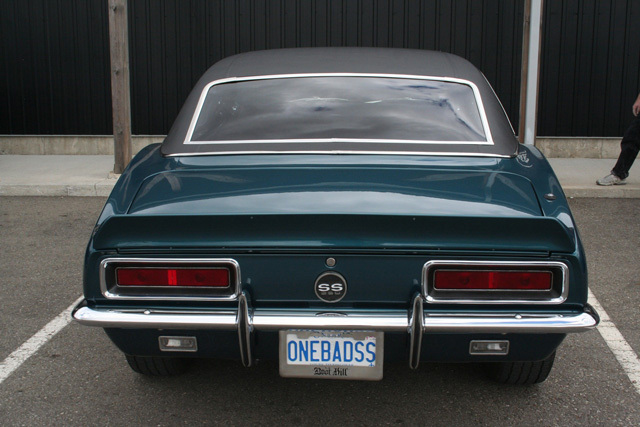 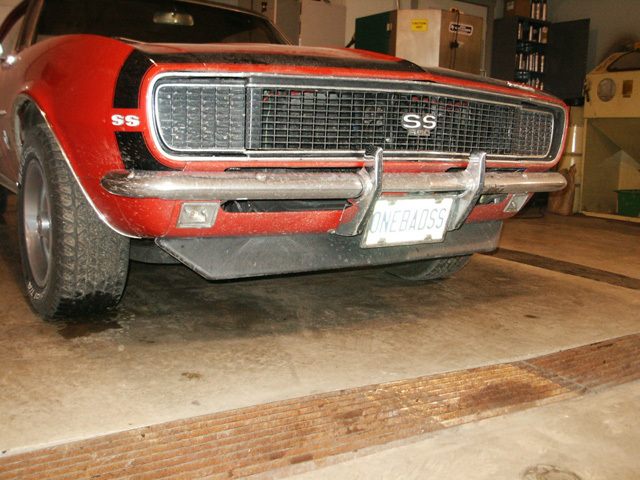 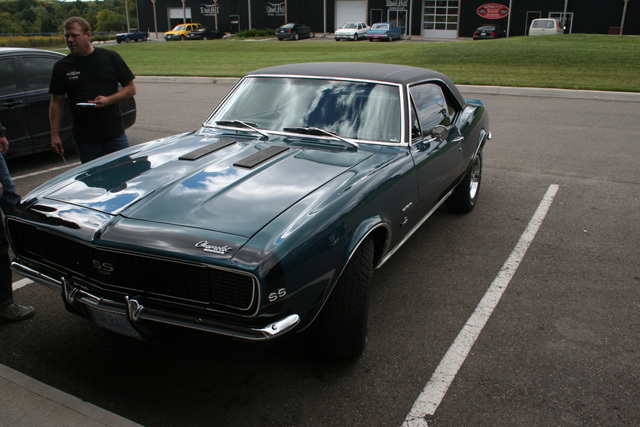 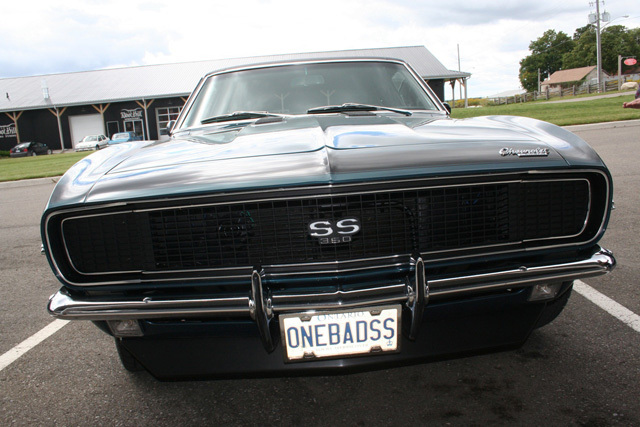 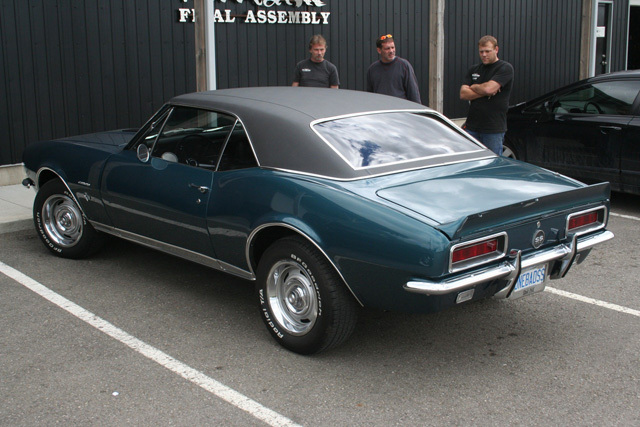 this is a Camaro where the license plates truely matche the car and is ONEBADSS!